Eucalyptus trees (in particular Eucalyptus radiata & Eucalytus ovata) across the Mornington Peninsula and beyond are undergoing decline, and Ringtail possums are to blame, according to Dr Jeff Yugovic. The “overbrowsing” of the possums is being declared the reason for the trees’ demise, with little scientific data and other alternative causes have barely considered. Our indigenous native herbivores are easy prey when it comes to being accused of causing environmental flora destruction, and as “pests”. Kangaroos are blamed for “over-grazing”, koalas are accused of over-populating, and possums are accused of any demise of native trees – because they eat them! Wonder what evidence there is of these mid-sized mesopredators in the Mornington Peninsula? There is evidence of a sustainable number of Powerful Owls and a full compliment of avian predators, snakes, roads and introduced species such as cats (domestic, feral & stray) and dogs. Other forms of tree mortalities are considered, and dismissed, as being “minor”. Dense scrubby undergrowth is allowing possums to hide from their predators, foxes. Yugovic says that major predators of the Ringtail possum are locally extinct, so there is an “overpopulation” of the former. Environmental Care, Mt Eliza, agrees that the Ringtail possum is the problem. However, wildlife experts such as Mal Legg, Hans Brunner and Craig Thomson disagree. Their concerns are dismissed as they “don’t live in the area”! 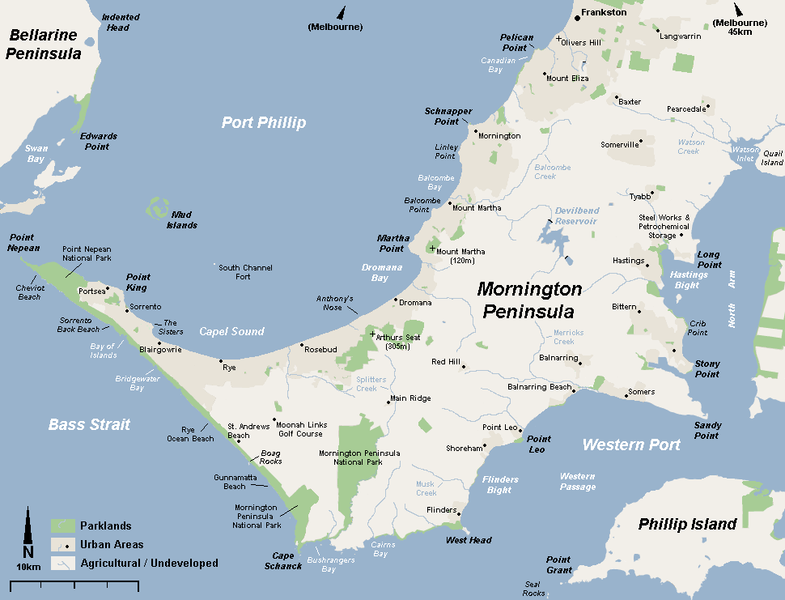 However all three live, work and volunteer on the Mornington Peninsula. Besides ecologists and naturalist don’t have to live in the areas they study. Ecologist Hans Brunner has already written a response in Candobetter.net. He says that “the expectation that an increase of predators may reduce a few possums would surely be badly out-weighed by the risk of losing proportionally even more of our rare, native wildlife species”. The simple answer, according to Yugovic, is to thin the understorey, and the trees will recover! Possum numbers will thus decline, as the possums will need to come to ground, where the foxes will predate on them. Possums might be at the scene of the crime, but not necessarily the criminals. Foxes are everywhere and partly replace the dingo as predator? What evidence is there that dingoes and foxes provide the same ecological function on the Peninsula? It would be a fair comment to say dingoes are an apex predator, while foxes are a more opportunistic predator. There are other possible and likely alternative reasons for the dying of the trees. -climate change and drought, with heat stress predicted to be a major cause of native species’ deaths. The study, written in 2014 by Ecology Australia, commissioned by the Mornington Peninsula Shire, was meant to rectify the problem. There seems to be little examination of other alternative causes, or refined research, to reach the conclusion to the guilty verdict for Ringtail possums. Ecology Australia provides services for environmental management, ecological services, and planning and approvals! They sound ominously like their focus is on corporate services, management of native vegetation and species to fit human activities, rather than conservation, wildlife rescue or holistic, custodianship of our unique natural heritage – and concern for the welfare of native animals. This is an excellent confirmation of what I have already mentioned. While the general public in Mount Eliza is aware that ringtail possums are the primary cause of the tree decline, a small vocal number of deniers refute this. Unfortunately they don’t live in the area or understand the problem. They say tree decline has many causes, that it is multi-factorial. The Ecology Australia study and possum banding of trees by Mornington Shire have shown that the multi-factors are essentially daddy possum, mummy possum and baby possum. Not to diagnose the problem correctly is to delay action which could cost all of the remaining trees. The deniers are misguided animal lovers without any scientific basis. They have created a controversy where none should exist. The loss of bushland tree canopies to ringtail possums is obvious and means the local extinction of many wildlife species including the possums. The most vocal individuals have vested commercial interest either in ringtail possum relocation or fox control. They appear to show confirmation bias, refusing to look at evidence and behaving in a publicly irrational and intransigent manner. Ironically, no development on the Mornington Peninsula has ever threatened as many trees as these pseudo conservationists. “The Ecology Australia study and possum banding of trees by Mornington Shire have shown that the multi-factors are essentially daddy possum, mummy possum and baby possum.” Perhaps we should have more information about this study. However, we hear very little for Ecology Australia when it comes to the deadly impact of high rates of “development” in Australia, and land clearing! 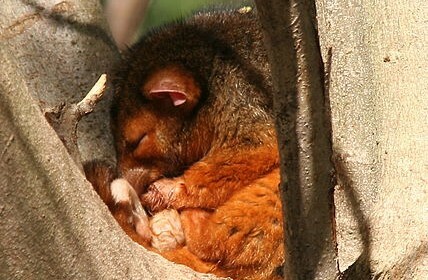 Ringtail possum are native animals, and as such they have evolved here along with native flora and fauna. Two events that correlate are not necessarily causal! The impact on trees from changes to landscapes, hydrology, clearing, introduced species, pollution surely would be more profound than the possums – and their impact could be just the tip of the iceberg? They might be present, but not the criminals, at the crime. Yes perhaps you ‘should have more information’ about the EA study. Ask Mornington Shire or Craig Thomson for an electronic copy. The EA study says ‘the prognosis for the eucalypts remaining in the landscape is extremely poor’. The trees are clearly being eaten back and dying and they rapidly growth new leaves and recover when banded. It’s quite obvious. The catastrophic unprecedented loss of canopy from ringtail possums is far worse than the other factors you mention within the bushland reserves of Mount Eliza. Perhaps you should also read the online discussion paper http://www.spiffa.org/do-ecosystems-need-top-predators. I am prepared to discuss this issue further but as I find I am constantly having to repeat myself you must cite the page number and paragraph in your response. It seems ironic that no one seemed to complain when thousands of trees were bulldozed to make way for all the houses, roads and other infrastructure in Mt. Eliza. Kangaroos, wallabies, wombats, quolls, bandicoots, koalas and possum species all lost their home but there was no outcry. Now, when ring tail possums have to put up with a few trees left over for them in order to survive, some people suddenly cry foul. It is a self inflicted consequence that does not justify to declare war on the surviving possums. Most of the native top terrestrial predators and mesopredators of south-east Australia are extinct or their populations are mostly fragmented and reduced. The Dingo remains the top ground predator in remote eastern Victoria and adjacent New South Wales. However, due to persecution it is now absent from most of its former range which was throughout mainland Australia. Other native species, such as Powerful Owl, the Eastern Quoll, the Lace Monitors, and Dingoes, are going, going going due to land clearing, and human settlements. Then, Ringtail Possums are vilified for killing off native vegetation, when they are ekeing out a living the best they can, in hostile conditions, on remnant habitat? Surely the best balance would be to restore vegetation, lost native birds and animals, and fragmented landscapes, with a holistic approach? Surely damning the some of the last remaining possums, for surviving, is drawling a long bow? Will some residents in the Mornington Peninsula not be satisfied until the last of our flora and fauna are “managed”, or burnt, out of existence? Rather than over-abundant Ringtail possums, lack of predators, the emphasis should be on restoring ecological balance? There needs to be a peer-review on the conclusion in the referred-to article. It’s like blaming a starving colony of shipwreck survivors for chopping down a few trees for fire and shelter! It’s also too easy for developers/land clearers to claim “offsets”, whereas they may mot be any benefits from them. Maybe there should be more fodder trees for the possums, and more of their natural predators, (not cats or foxes) introduced? I will not respond in future unless you cite the page and paragraph number of the discussion paper that you either agree or disagree with.